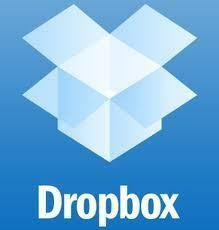 Steve Jobs and Farhad Manjoo are wrong: Dropbox can do what Apple, Microsoft and Google can never do. Farhad Manjoo writes in Pando Daily about how Dropbox is just a feature. Unfortunately the examples he talks about seem to support the exact opposite. Someday, someone will figure out how to make this sort of thing work well, but I suspect it will most likely be one of the companies that makes a major operating system: Either Apple, Microsoft, or Google. Each of these firms has a file-storage and/or syncing solution that it’s pushing, and I expect that those efforts—iCloud, Skydrive, Google’s Chrome syncing and perhaps the mythical Gdrive—will gradually incorporate more and more of the features I’m looking for. This assertion is about as wrong as could be. Earlier in the piece Farhad talks about how things just plain worked as Dropbox synced things from his Windows desktop to his Macbook Air. What are the odds of Apple getting their sync client right for PC's? Just about zero, considering what they've done in the past with MobileMe sync. Same goes for Microsoft writing sync software for the Apple platform. Arguably Google is in the best shape to provide a seamless multiplatform experience... well, except for iOS! The odds of a viable multi-platform option emerging from one of these big three seem slim to me. The truth is none of these behemoths will execute perfectly on this scenario in the way Dropbox (with no ulterior platform motive) can. Dropbox is probably working to build many of these features as well. But as third-party app, it’s just not in a very good technical position to do so. In order to sync programs and window states, Dropbox would need access to some of the deeper parts of my various gadgets’ OSes. This is easy for some operating systems and impossible with others—including iOS and probably Amazon’s Kindle Fire. Apple could easily build a way to sync the current browser tabs between my Mac and my iPhone, so that I can switch from reading Pando on my couch to reading it on the train. Dropbox will need to go through incredible hacks to achieve the same functionality, and it probably won’t manage to do so even then. Sadly Farhad is just wrong on this too. Getting native bare-metal access is easy to get on every platform that matters except iOS. On iOS, Dropbox *already* has a huge lead on all of the other file syncing platforms by virtue of wide support by the developer community. Apple will undoubtedly get some share of iOS developer love, but it is yet to be seen whether Apple will actually unseat Dropbox. Truthfully, it is foolish to count large platform players out. But my money is on Dropbox. Until Apple wins every last device over (not even a goal of theirs), Microsoft steals the show for mobile and regains share on desktop (highly unlikely), or Google wrests mobile supremacy from the hands of iOS (not going to happen) -- the ongoing platform cold war will assure it's Dropbox that's going to be how we keep our data.